What is Alimony? Alimony is support paid by one spouse to another in the event of separation or divorce. Alimony is typically a monthly payment, however it can be paid in a lump sum. Alimony is appropriate in some separation and divorce cases but not all of them. 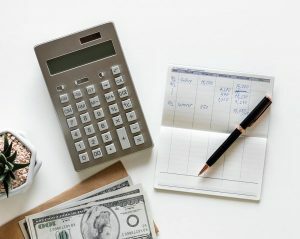 In basic terms, Alimony is a factor in divorce cases when there is a significant difference in income (or at least earning potential) between the spouses. The spouse earning substantially more than the other could be facing the potential of paying both alimony and child support to the other spouse. If this is your introduction to Alimony Law in North Carolina, first know that if you make significantly more or less than your spouse, and your were married more than two or three years, alimony may be an issue of concern for you. How Alimony is Awarded. If alimony is going to be awarded or agreed to by the parties, the main questions involve how much and for how long. Alimony can be awarded permanently (not truly permanent as it can be changed or stopped but a motion must be filed to so), for a period of years, or in a lump sum. Some people gauge alimony duration as half of the duration of the marriage, but this is not the law and duration varies greatly depending on the case. In general, the greater the difference in income between the parties, the larger the alimony award. The longer a marriage lasts, the longer an alimony award is likely to be. North Carolina Alimony Law is a governed North Carolina General Statue Chapter 50-16. Alimony is payable from a “supporting spouse” to a “dependent spouse,” which means that only a dependent spouse may receive alimony. North Carolina Alimony Law has defined “Dependent spouse” as a husband or wife, who is actually substantially dependent upon the other spouse for his or her maintenance and support or is substantially in need of maintenance and support from the other. In other words, a dependent spouse does not make enough to money to pay bills and/or live the lifestyle enjoyed during the marriage. The supporting spouse, who makes substantially more, has to have enough money after considering their reasonable living expenses, to pay support. If the dependent spouse makes $30,000 per year, and supporting spouse makes $60,000 per year, however supporting spouse is paying on (or is ordered to in the Equitable Distribution Order) any of the following, then an alimony settlement will probably not be awarded. To learn more about alimony basics and what your options are, call (919) 301-8843 or complete our contact form below, and an expierenced divorce and alimony attorney will be in touch with you shortly.